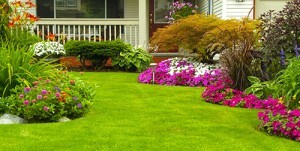 Since 1988, Outdoor Pros has produced some of the best quality landscape design Raleigh NC can offer. From residential redesigns to comprehensive commercial projects, we can create the outdoor space you’re looking for. Outdoor Pros is committed to making your outdoor dreams a reality by offering a variety of landscaping and hardscaping services. No addition or installation to your landscaping design is too small or complex. From single-family home gardens, to commercial patios and industrial facility outdoor designs, Outdoor Pros has become synonymous with ingenuity, reliability and quality. Does your outdoor space feature a landscape design that’s either outdated or decrepit? No problem! Outdoor Pros offers some of the most affordable landscape renovations that will bring your property to back to life. Any outdoor improvement requires a comprehensive understanding of the costumer’s needs, as well as the limitations of the space. Outdoor Pros will work hard to make sure that your new pool deck, garden space, patio, pergola, or outdoor kitchen blends seamlessly within the existing features of the area. Outdoor Pros is not only committed to quality landscape and hardscape installations, but we are also dedicated to maintaining your outdoor spaces and structures. With a variety of maintenance plans, seasonal packages and single services, Outdoor Pros can tailor a maintenance package to your company’s or family’s needs. Pruning, snow removal, mulching, seasonal mowing, perennial color blends and weed control are just a few of the maintenance services that Outdoor Pros offers. The knowledgeable and friendly staff members at Outdoor Pros are trained to make sure that your outdoor paradise remains healthy, eco-friendly, and pest-free. Outdoor Pros is dedicated to not only meeting, but exceeding, your expectations by offering the most affordable, friendly, and effective landscape design Raleigh NC has ever seen. Outdoor Pros is ready to make your landscaping and hardscaping vision become a reality. Make your office space or home the envy of the block by contacting Outdoor Pros to receive a quote or to request more information today!